Why Did LEGO Deem It Necessary To Create "Realistic" Versions Of Friends And Elves? When I first saw the Elves sets here on Brickset I thought that they were cool and that I would probably buy some of them. Then images of the sets packaged were released and I was taken aback by the "realistic" (for want of a better word) versions of these new characters. I just didn't think the artwork was very good and definitely not "LEGO-ey". 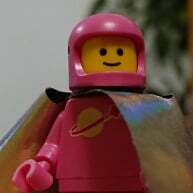 After watching the snippets of animation available on Brickset today, like many others I was not impressed by it. This got me wondering why Lego isn't using the actual minidoll versions for the cartoon the way they use minifigure versions of the characters in Ninjago and Legends of Chima. They didn't create "realistic" versions of four differently colored ninjas for boys to relate to and Thundercats already existed so they didn't create "real" versions of Laval and co. I remember thinking the same thing when I first saw the "realistic" versions of the original Friends girls to promote that line. I believe it would have tied the Elves sets and the cartoon together better using the LEGO style of animation and humor found in Ninjago than the more conventional. As some have also mentioned, you wouldn't really know it was a LEGO creation just by watching the Elves cartoon unless you already knew it was a LEGO creation. Edit: Apparently I misread the question, CCC seems to have answered better. Minidoll legs don't move, so it would be a little jumpy unless they used more realistic legs that do move in the cartoons. Plus they are probably trying out will children / girls buy into a Lego cartoon that is not a blantent advert for the toys. It might also be allowed to show it in countries where toy based cartoons for existing toys are banned from tv., as they are doing story telling rather than using the toys. I prefer lego-stylish cartoons. I like to watch Yoda Chronicles eventhough the cartoon is a bit childish because they are fun. And they are fun because they are lego. So, I don´t have much interest for these non-lego videos by lego. Maybe they found that girls just responded better to more realistic portrayals of the characters. Or maybe they found that girls and parents of girls were more hesitant to watch something that felt overtly like a toy commercial. Who knows? It's not as though LEGO has always used minifigure characters to promote all its themes that use minifigures. There were some LEGO Pirates picture books in the late 80s and early 90s that used human versions of the minifigure characters. Much more recently, LEGO Exo-Force portrayed its characters as humans in its comics and mini-movies. Personally, I don't have any issue with the use of human or human-like characters to promote a theme. Certainly the use of CGI minifigure characters has worked out well for some themes, but there's no reason all themes have to translate their figures into animated characters the same way. Frankly, I think that would start to feel a bit boring and repetitive. I definitely appreciate that themes like LEGO Elves and LEGO Bionicle have opted for new animation styles instead of just using CGI versions of the characters as they appear in the toys.